They're smashing. I'm loving your backgrounds. All of them are smashing. 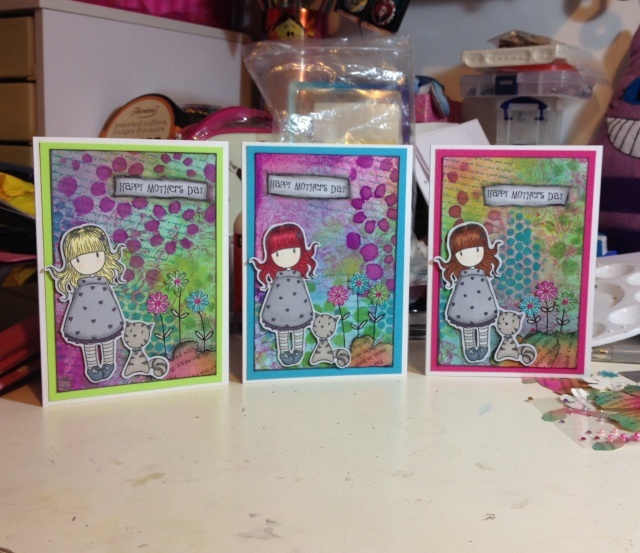 Totally goes to show the whole point of art journaling, when you then produce crackers like these! 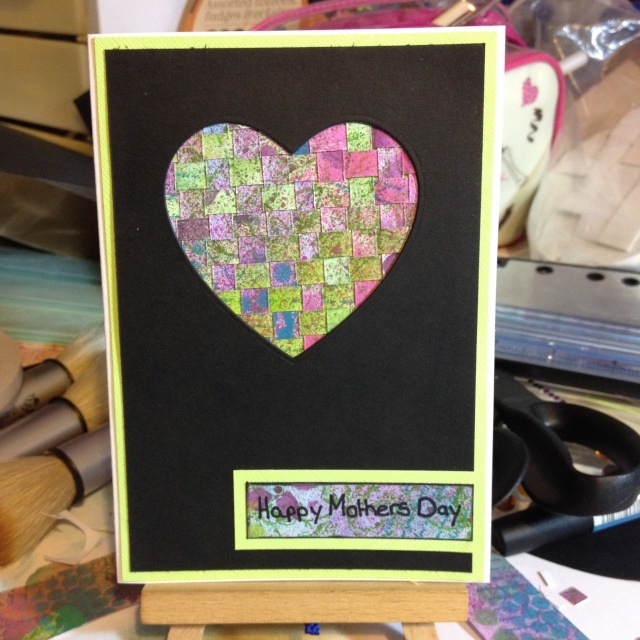 It's those lovely backgrounds again, and what a brill idea for your Mum's card! They are lovely Kt, really bright and cheerful. 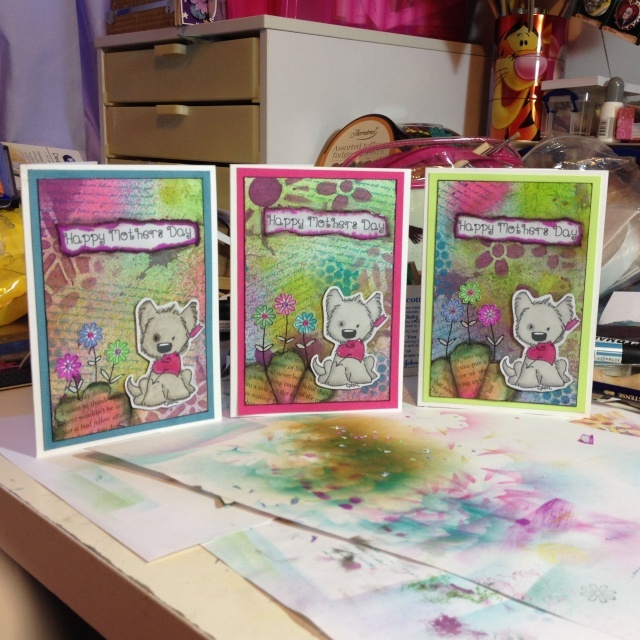 Your inky backgrounds are awesome! Smashing cards, tried the weaving once but not as exact as your great job. Lovely backgrounds again Kate, are they stencils? Aw, they're going to love them, liking the personalised hair colours.